Secondly I decided since I’ve been playing a LOT of Pokemon I’d draw something more fun. 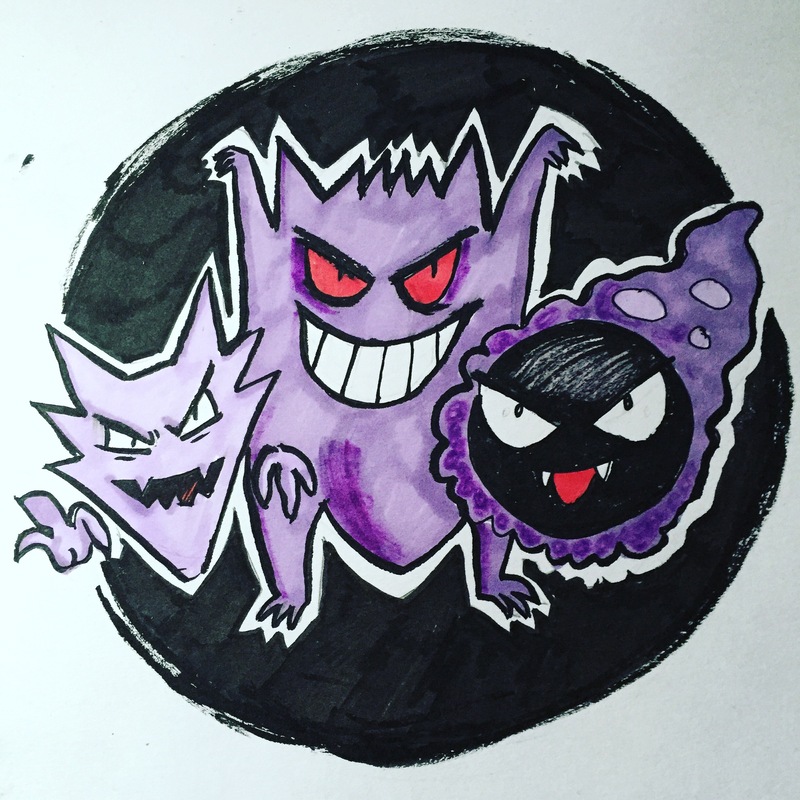 Ghastly, Haunter and Gengar! 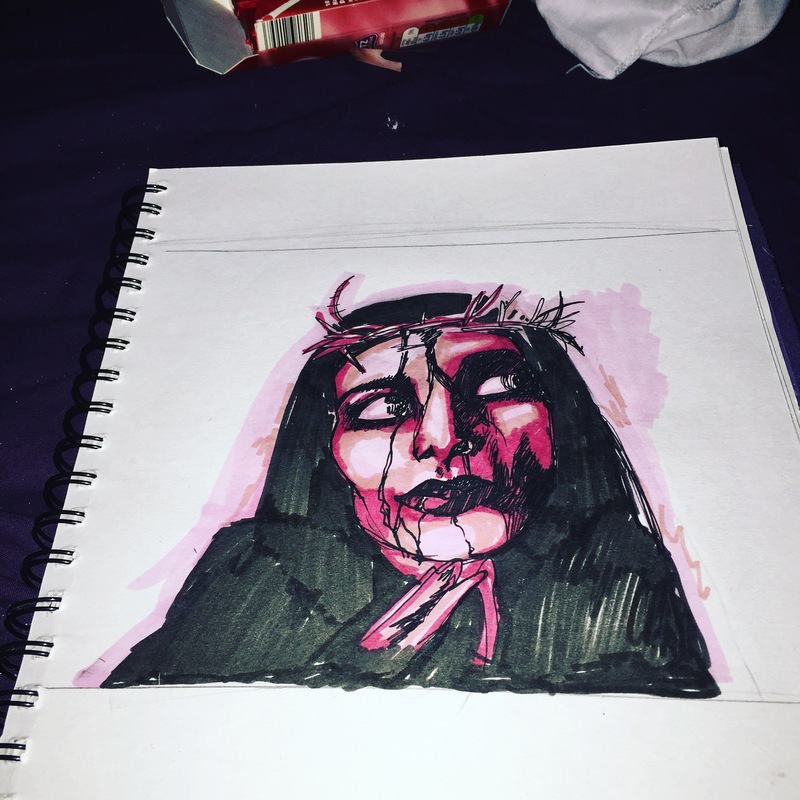 Sadly my Plum marker dried up so poor Gengar looks a bit messy but it was fun none the less!